Georges Duby and Jean-Luc Daval, eds. 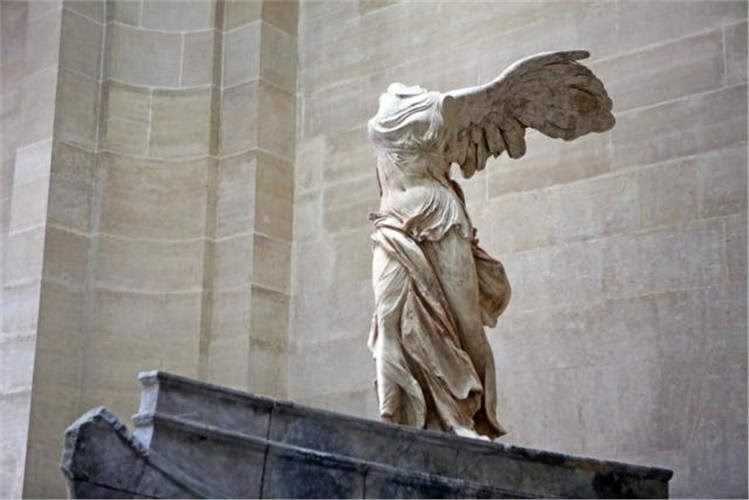 Sculpture: From the Renaissance to the Present Day (Köhn: Taschen, 2006). 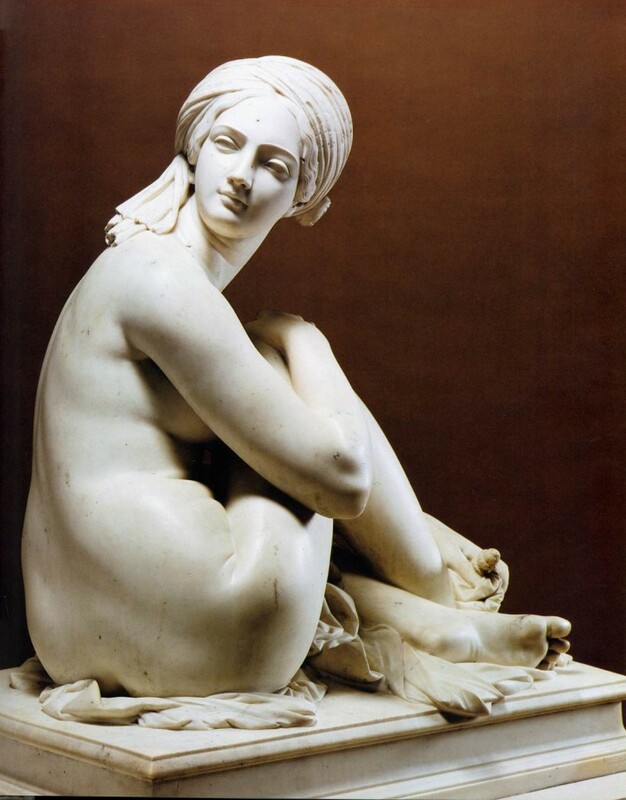 Sculpture has always inspired me with awe–especially realist marble representation of the human form. The masterworks in this historical survey have reignited my desire to visit Europe, particularly Italy and France where many of them are found. 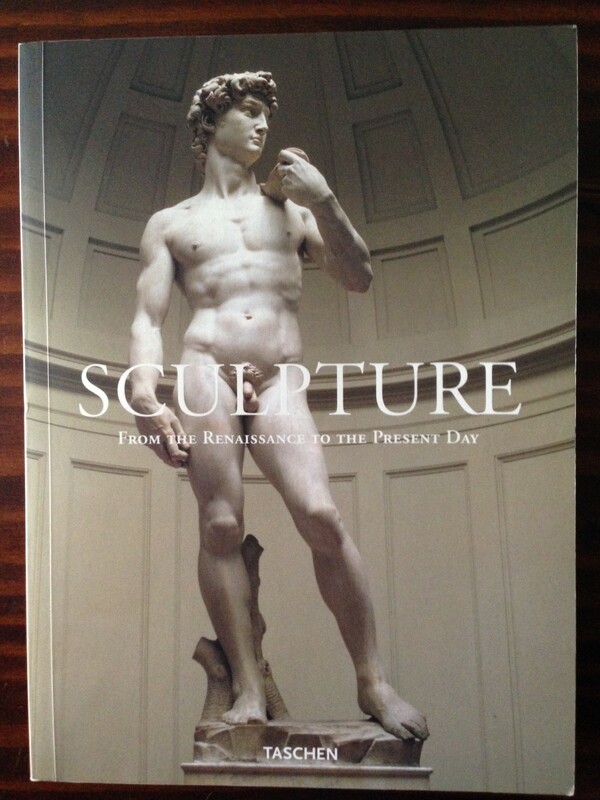 High on my list of sculptures presented in this anthology are Michelangelo’s breathtaking Pietà, arresting Moses, and paragon David. In addition to these mega-hits of world sculpture are many others that demand recognition (see my list below). The Baroque masters are described as “virtuosos,” a characterization which readily invites comparison with the art of music, and the challenge of execution it presents. This comment, and the astonishing display of skill before my eyes, caused me to wonder which of the arts may be the most difficult to master: sculpture, painting, composition, music performance, poetry, dance? Although I can speak of the travail of composition, it seemed to me that the balance leaned toward the representational graphic forms: sculpture and painting. Perhaps this suggestion is like the marveling of a musical novice hearing me play Rondo a la Turca. It is difficult to tell. But with figurative sculpture there is no forgiveness for minor mistakes. One can’t mask them with rubato or some pedal. 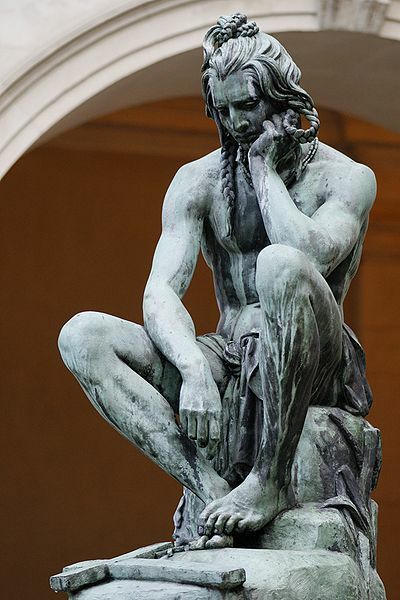 The subtle mastery required in capturing the human form with such stunning veracity and expressivity as in the work of Michelangelo, Donatello, Bernini, Rodin, and dozens others simply defies belief. 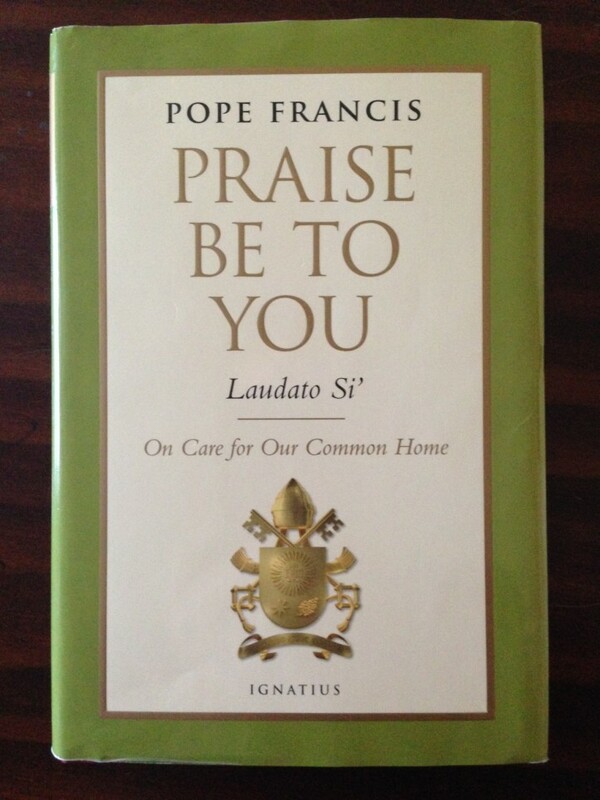 Pope Francis, Praise Be To You (Laudato Si’): On Care of Our Common Home (San Francisco: Ignatius Press, 2015). Pope Francis took his appellation from Saint Francis of Assisi, a figure beloved not only by believers, but by rock stars and hippies. The medieval saint was a friend of animals and communed with God in creation. The reigning pontiff has devoted his first encyclical (the full text of which is available here) to the environmental crisis of the modern world, addressing the economic conquest of humanity which has left polluted air, contaminated water, deforestation, and extinction in its wake. Francis echoes and amplifies the warnings of all the previous popes since Saint John XXIII (1958-1963), and speaks out as the prophets of old warning ancient Israel to repent. While I personally agreed with the vast majority of the Pope’s points, I had trouble with his call for a world authority to enforce international compliance with environmental standards. The Paris Agreement of December 2015 seems to me a better model, in which world nations voluntarily committed to some of the necessary measures. No doubt the extraordinary response in Paris among virtually all nations was in part due to the Pope’s influence. In any case, Francis’ letter to the world deserves our respect, and his call for change, the ongoing commitment of those who call this earth home. 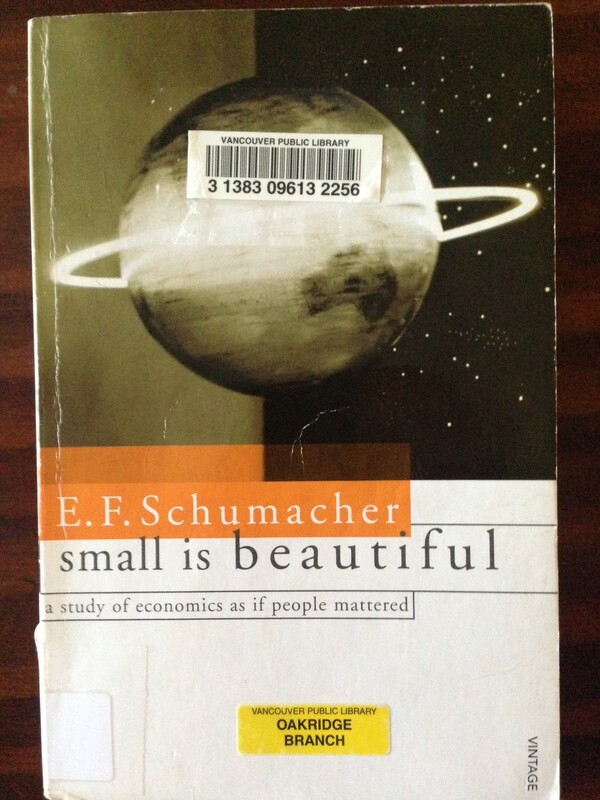 E.F. Schumacher, Small Is Beautiful: A Study of Economics As If People Mattered  (London: Vintage Books, 1993). 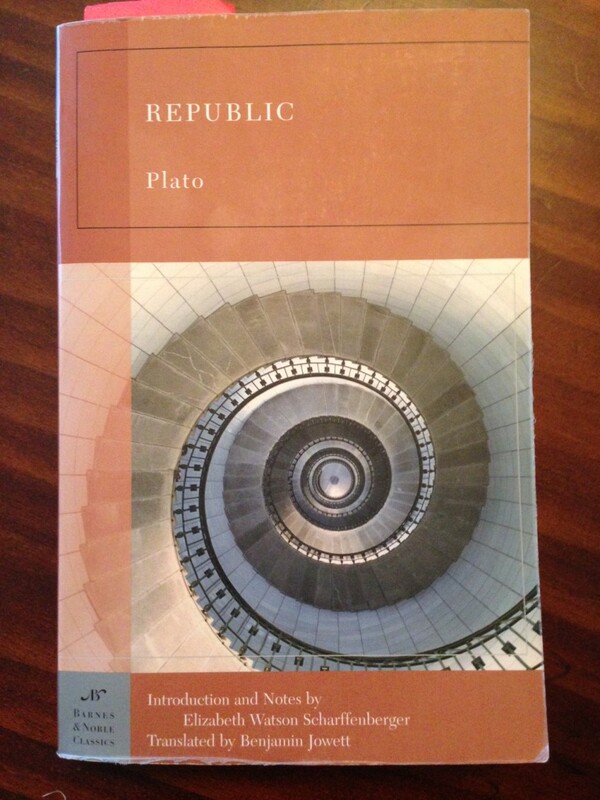 This book is a response to the prevailing materialist paradigm of economics that has been the driving force of developed nations since the industrial revolution, especially since World War Two; it is also a vision of what human civilization could be, based on an economics that prizes not only profits, but human and environmental dignity. Schumacher exposes the folly of devout adherence to the notion that “bigger is better,” and urges a “self-limiting principle” to world economies, especially the advanced ones including his own, Britain. Such economic self-limitation is a stench in the nostrils of those preoccupied with amassing material wealth despite any social and environmental costs, and the ego which is the driving force of that pursuit. Schumacher brings balanced wisdom to the economic problems facing the modern world, acknowledging the necessity of economic profitability and individual freedom as well as the social and environmental consciousness which we silence to our own peril. In the end he navigates clear of the noisy extremes characterized by the defiant defenders of unbridled capitalism and the livid champions of the proletariat. Schumacher decries lifeless factory working conditions, the worship of the machine, and unsustainable consumption of energy (or “natural capital”); and urges emphasis on local economies, practical but non-technocratic assistance to developing nations, and proposes a form of common ownership of large businesses. Despite the age of this publication, the principles it embodies remain as relevant today as ever. His chapter on education powerfully articulates the beauty of bestowing charity and magnanimity to our children instead of the impoverished metaphysics preached by the intellectuals of the nineteenth century–Marx, Darwin, Nietzsche, Freud, etc. 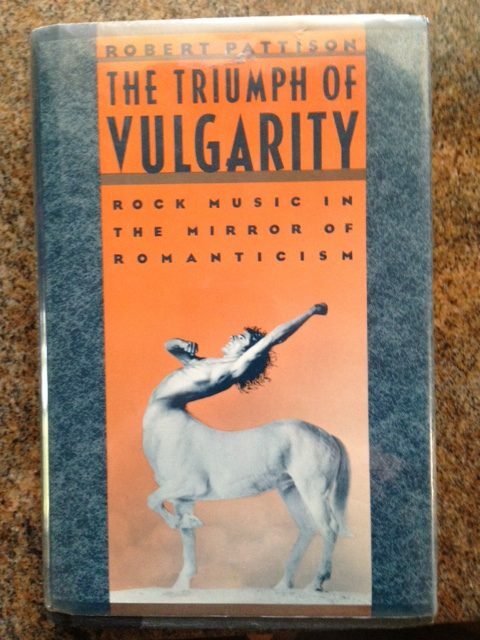 The truth-content in this volume is staggering. Many books one must read long and hard to find some silver or brass, and occasionally some gold; every page of this book pays dividends. Some chapters are pure gold. 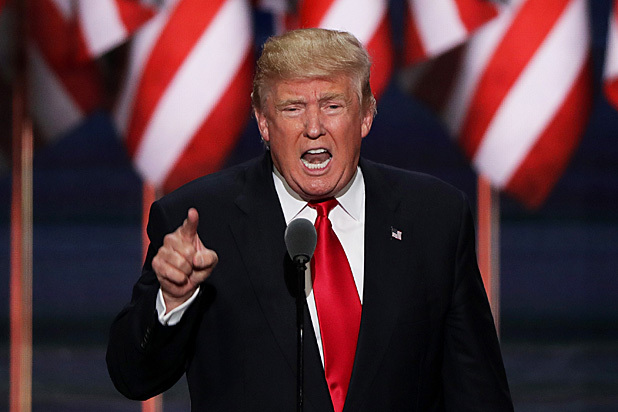 The most challenging part to me was the concluding section in which he proposes 50% government ownership of businesses that grow past a certain threshold in size. 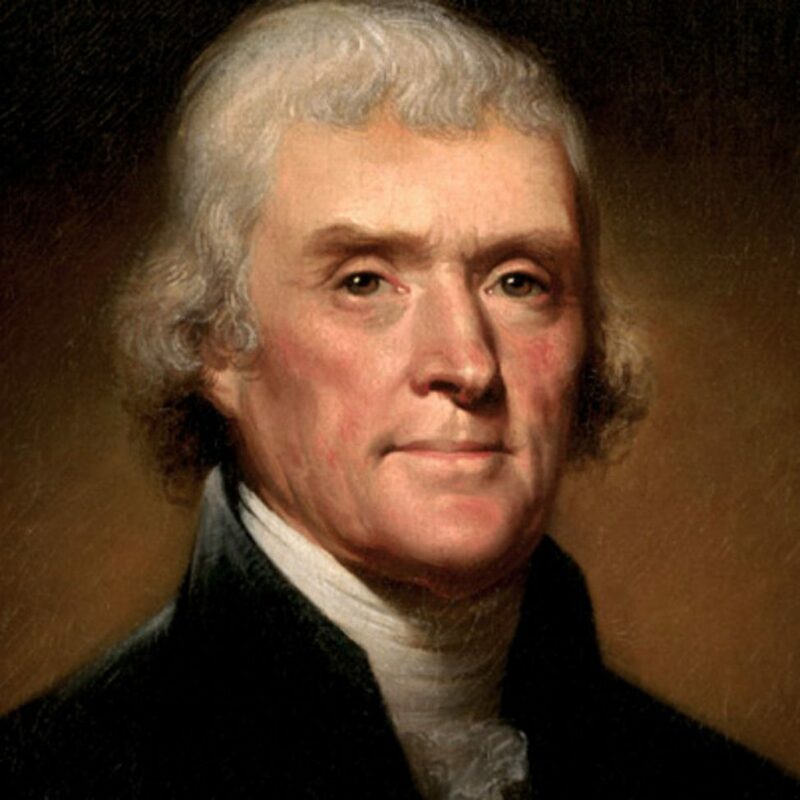 Setting aside any prejudice on the matter and considering the argument through the lens of pure reason in the service of love and freedom, I find his idea very difficult if not impossible to find fault with. In short, Small is Beautiful is a beautiful book written by an uncannily gifted but humble intellectual, respected economist, and friend of humankind. E.F. Schumacher, A Guide For the Perplexed  (London: Vintage Books, 2011). 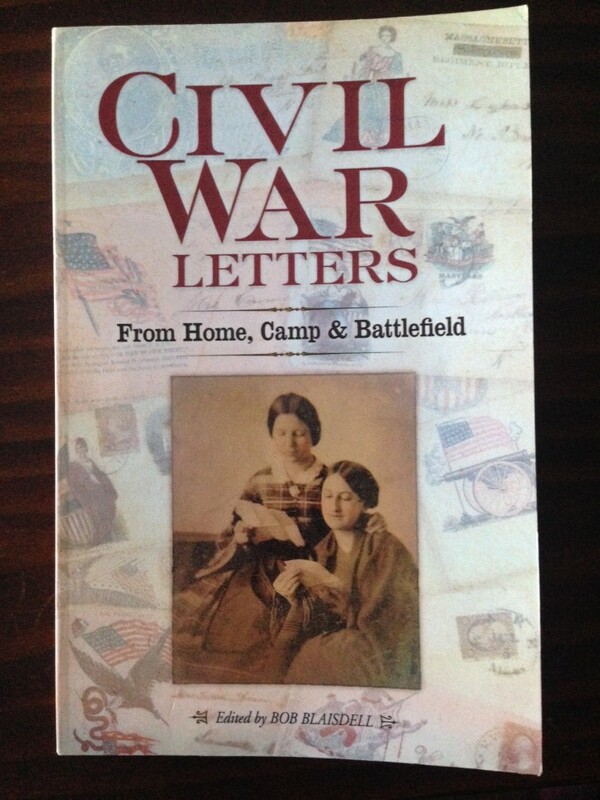 My review of this book was first published in October 2015 on Amazon. 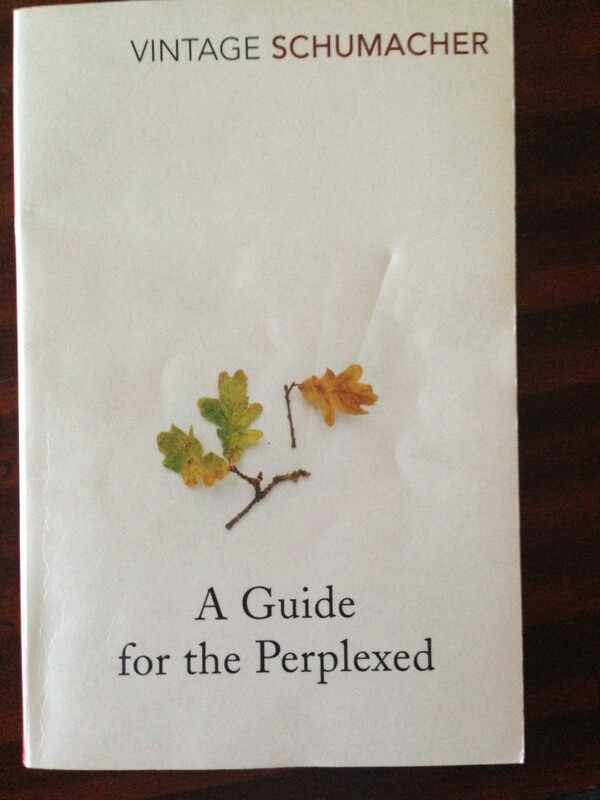 Schumacher’s A Guide for the Perplexed is the author’s response to the philosophical juggernaut of materialism in the western world. 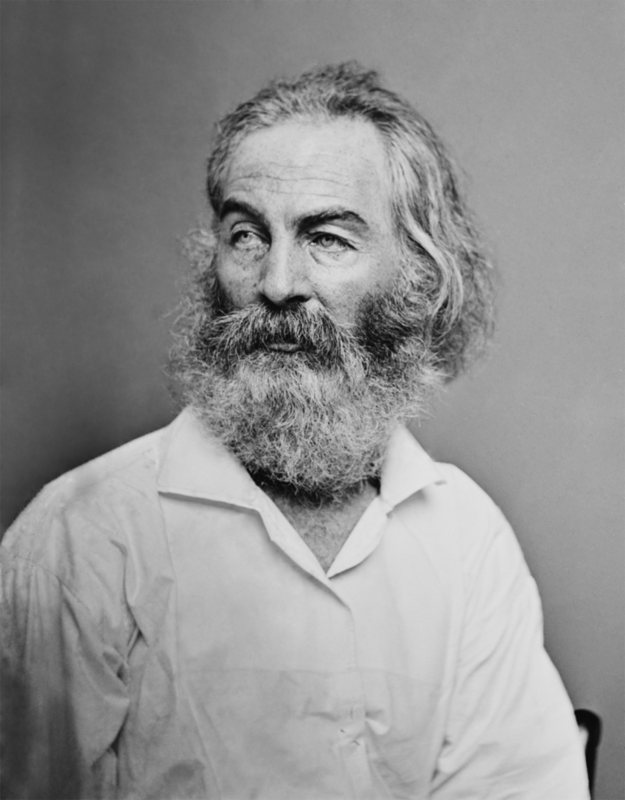 In it, he exposes the intellectual and spiritual poverty of the view that man is nothing more than a naked ape with advanced computing power; that there is no essential difference between inanimate matter, plant-life, animal life, and human life; that all these levels of being merely represent different arrangements of matter; that all reality and knowledge can be reduced to the objective measurement and analysis of physics and chemistry. This has been the prevailing view of scientists and intellectuals in the modern age, beginning with Descartes, and remains so today. In this book, as relevant in 2015 as it was in 1977, Schumacher demonstrates the inadequacy of this philosophy, while pointing to the ancient tradition–confirmed by modern writers and mystics–that matter, life, consciousness, and self-awareness represent progressively higher Levels of Being, and that recognition of this hierarchy is essential to a true understanding of the world. He posits “four fields of knowledge”: knowledge of oneself, i.e. one’s own interior existence; knowledge of the interior existence of others beings, achieved indirectly by communication and interpretation; knowledge of how one is perceived by and exists in relation to others; and finally knowledge of the outside material world. “Materialistic scientism” focuses exclusively on the last of these fields. While the study of this material field has yielded breathtaking results in science and technology, the study of all four fields is essential for a true attainment of human progress, peace, and purpose. Those who ignore the first three fields of knowledge remain ignorant of what truly matters. This book is offered to those who, like Schumacher once did, find themselves perplexed that the desires and experiences that make us human—the desire to live a self-transcending life, the appreciation of beauty, our yearning for purpose and fulfillment—are reduced to illusory or accidental byproducts of evolution. The author respects and values the advances of science, but differentiates between these and the preposterous metaphysics with which they are clothed. 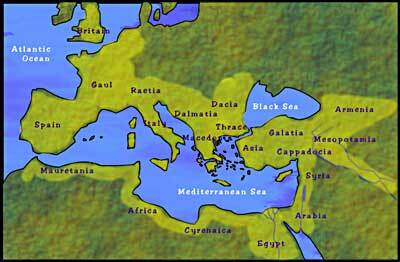 He warns that the modern world cannot long survive in them. The author’s distinction between the instructional and descriptive sciences is brilliant and essential reading for anyone working to contribute to human knowledge in any sphere. 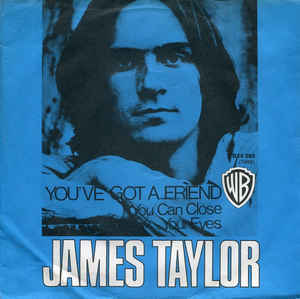 As a musician, I am particularly inspired by his appraisal of the value of art, how its highest value is evident in the communication of truth. Schumacher’s power of synthesis and wisdom is evident in his appeal to an impressively wide range of sources—ancient, medieval and modern. 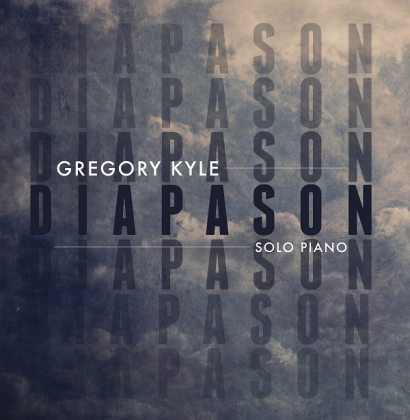 In his appeal to the various religious traditions of mankind, he assembles a universal chorus that harmonizes in recognition of the deeper realities beyond the superficial layer of the physical. While Schumacher wrote as a Christian, his intended audience is broad, and he makes no demand that the reader even assent to belief in a deity. Meanwhile, the theist can savor the truths he articulates as if at the table of the Lord. In the chapter devoted to the first field of knowledge, Schumacher emphasizes the importance of meditation, characterizing it as an exercise of self-disciplined focus, and celebrating a variety of methodologies. Here religious disagreements may arise; and yet when viewed within the larger context of challenging materialism and of subordinating the intellect to the spirit, any such disagreements will seem peripheral. In any case, the book is indeed a precious and accessible guide for those perplexed by the inconsistency between their desire to live a meaningful, self-transcending life and the materialistic scientism preached by our modern intellectual authorities. John C. Polkinghorne, Science and Providence: God’s Interaction With the World  (Philadelphia: Templeton Foundation Press, 2005). 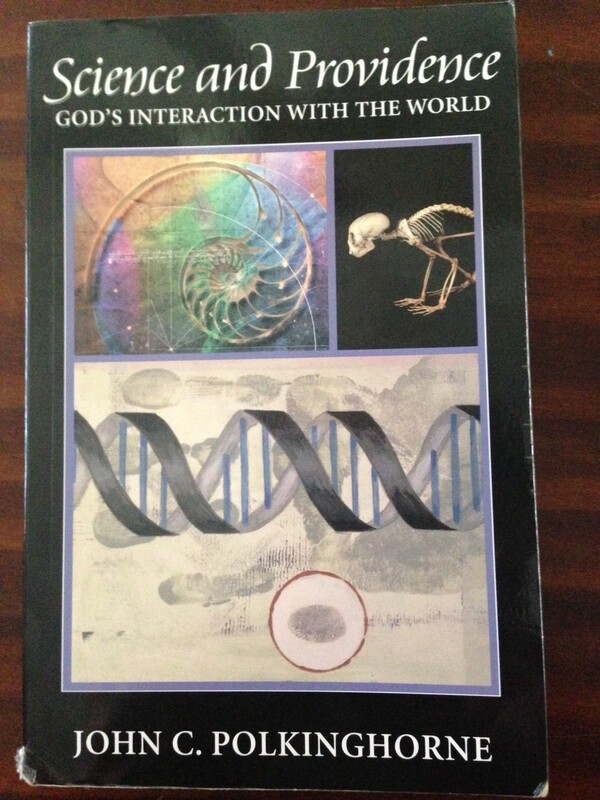 I picked up this book in search of perspectives on how God acts in the world. 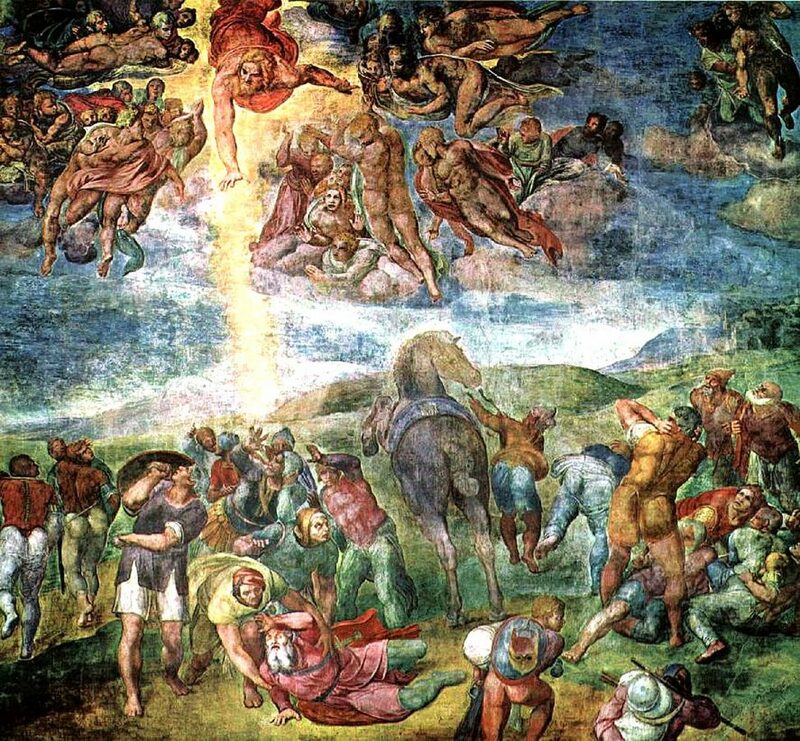 The picture painted by science seems to minimize the need to invoke supernatural causation, and yet as Christians we hold a biblical tradition of Providence, and interpret our daily lives through the lens of God’s intimate concern, involvement, and interaction in our lives and indeed all of creation. 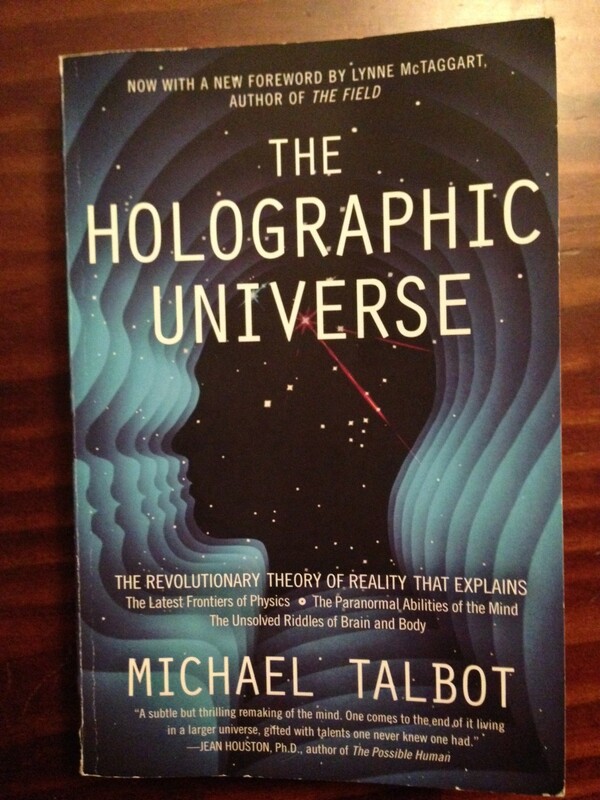 Polkinghorne suggests that God operates from behind the veils of quantum mechanics and chaos theory. Sub-atomic physics is viewed (though not by all!) as indeterminate; larger “chaotic” systems such as the weather are also indeterminate; as a result, there is an “openness” to the unfolding process of creation. No one can say with 100% certainty what is going to happen. God can therefore cause whatever he wants whenever he wants by, without violating the laws of conservation, nudging tiny elements here or there within these realms, desiring the chain of events that follows. To me, this view is interesting but ultimately speculative. Worse, Polkinghorne’s argument is maimed by his unwillingness to give up philosophical realism: for him, matter and the laws that govern it are absolute, and God must work around them. There are better perspectives available. What’s important, though, is that Polkinghorne recognizes the problem of divine action and doesn’t offer trite answers for it. 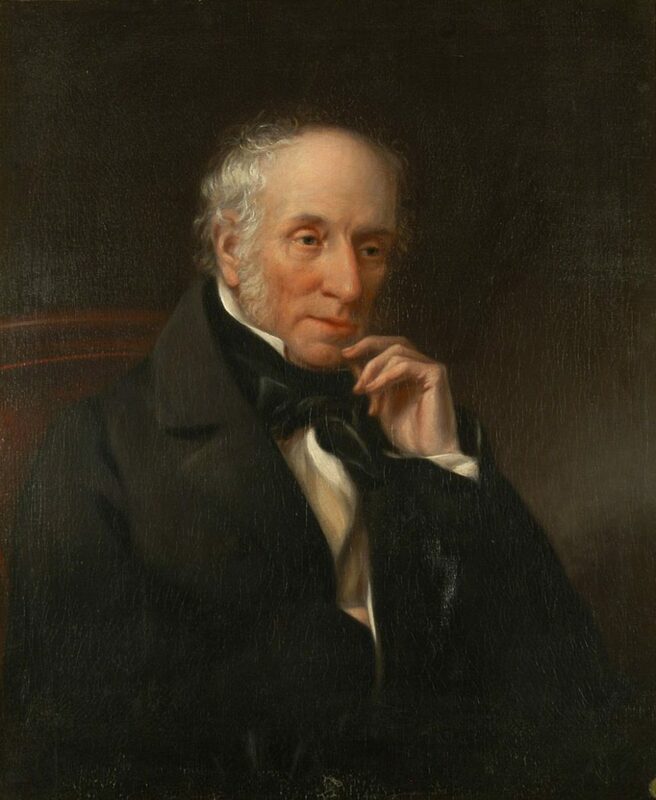 I found Polkinghorne’s writing style often taxing–he cites many bland theological quotations while forbearing to state his own views, and cloaks his prose in the tediously refined style of the academy. 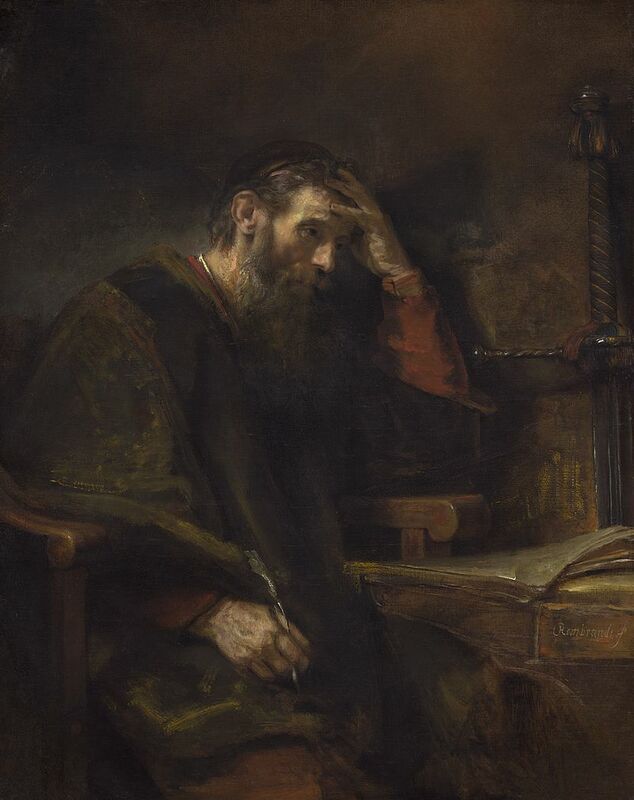 Yet there is some silver in his treatise: he exposes what he calls a “facile” and “glib” view of Providence, such that the believer interprets every life event from open parking spaces to rheumatism as direct from the hand of God, sent either as grace or punishment; but on the other hand he defends faith in Providence: “I do not think one can deny that there are remarkable threads of coincidence to be found in human life which it is proper for those who experience them to interpret as the personal God calling them by name.” In the end he endorses a balanced view that justifies thankfulness and prayer–what is at stake–while avoiding the simplistic view of Providence. Alvin Plantinga, Where the Conflict Really Lies: Science, Religion, and Naturalism (Oxford: Oxford University Press, 2011). After Polkinghorne, I was curious to see whether a better perspective on the problem of divine action in the world had been articulated. 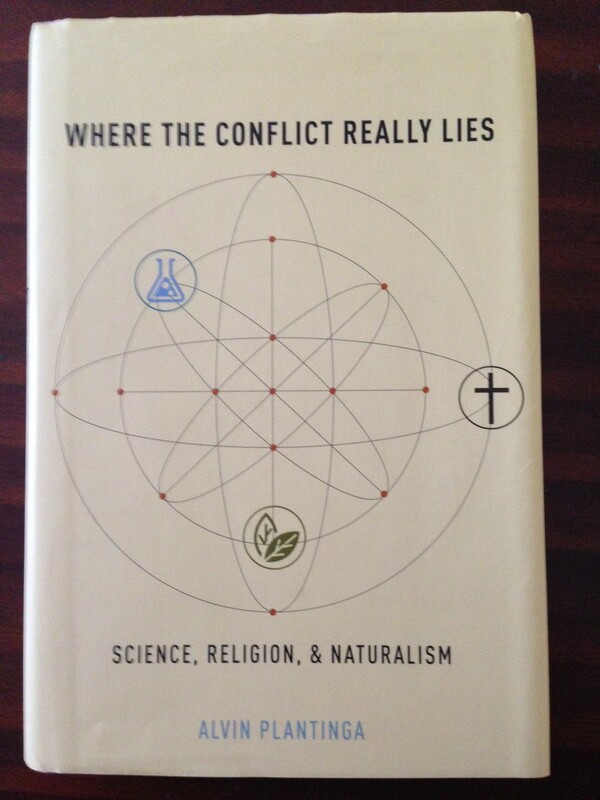 Plantinga devotes attention to this issue in his book Where the Conflict Really Lies, which evaluates real and alleged conflicts between religion and science. In it, he argues that there is no real conflict between theistic religion and science, but that the real conflict is between naturalism and science. Naturalism, the idea that there is no such thing as anything supernatural, is a metaphysical interpretation of or “add-on” to scientific theories like biological evolution. Plantinga takes up the foil against the belligerent atheists, Richard Dakwins and Daniel Dennet, and duels with skillful vigor and a flare of play. A lover of science, Plantinga embraces evolution, and turns it against the naturalist/atheist by arguing in the end that if Mind is the product of unguided natural selection, then our mental faculties are not reliable guides in our search for truth. 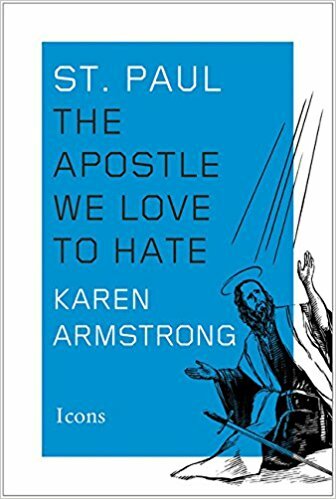 This undercuts any dogma preached by the naturalist, such as the assertion that “the evidence of evolution reveals a world without design.” As for divine action, Plantinga echoes the notion that there is plenty of room for God to work from behind the shroud of quantum physics–whether to cause genetic mutations, guide evolution, or do the miracles recorded in scripture or prayed for in the present day. Unlike Polkinhorn, Plantinga is not struggling to avoid checkmate, but makes his moves confidently, showing that atheists and evolutionary psychologists have not gained their point against theistic religion in the name of science. I see the book as a whole as a serious challenge to and even firm chokehold on dogmatic naturalism. 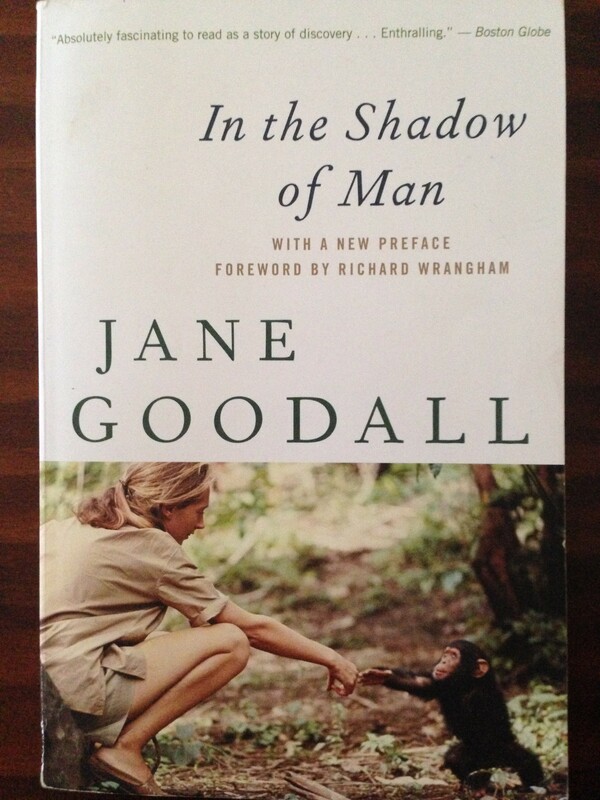 Jane Goodall, In The Shadow of Man  (Boston: Mariner Books, 2010). I started reading this book on a plane to New York on April 3rd—and then discovered that the date marked Jane Goodall’s birthday. The introduction tells of the book’s wide influence since its first publication in 1971, including the anecdote of a traveler who took this volume along with the Bible as the two books she consulted in times of perplexity and discouragement. Indeed, the story of Goodall’s work as a young naturalist and primatologist seems to be sanctioned by Providence. She had a lifelong desire and passion to observe animals, and through various conflicts and obstacles was able to begin work watching chimpanzees in their natural habitat in the Gombe forest of Kenya. The work was extremely taxing and difficult, and fruitless for over a year; but through perseverance and refusal to despair, she was able to go on to observe the apes in closer detail than ever before. Her work proved seminal in the field of primatology, and transformed our perception of apes and of ourselves in relation to them. 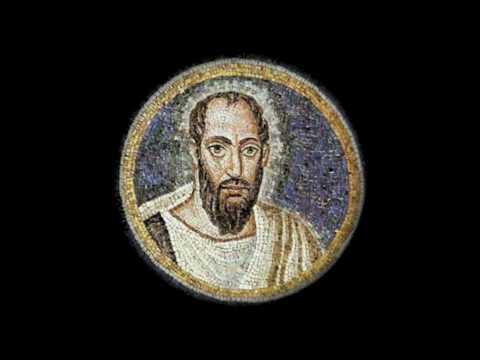 There is such depth of meaning in this story that for someone who believes in such a thing as Providence, it may be difficult not to see the hand of God in it.